Comics Bakery » Blog Archive » SPX + Bookstore event! 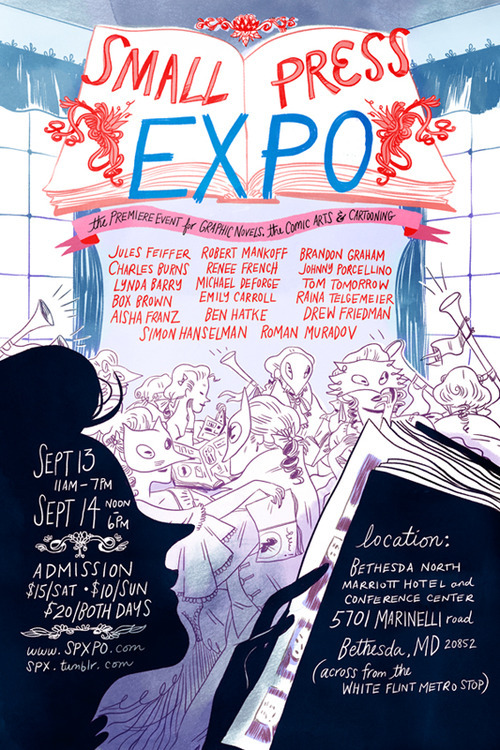 It’s already time for another amazing Small Press Expo! It’s one of the best events of the year, and you should be a part of it! Admission is $15 on Saturday & $10 Sunday. $20 for both days. Because we love DC area bookstores so very much, Raina and I’ll be speaking and signing at One More Page Books in Arlington on Monday afternoon at 4:30pm. Join us for some interactive drawing, Q&A, and fun times!